Just a gentle reminder that this movie is coming very soon. 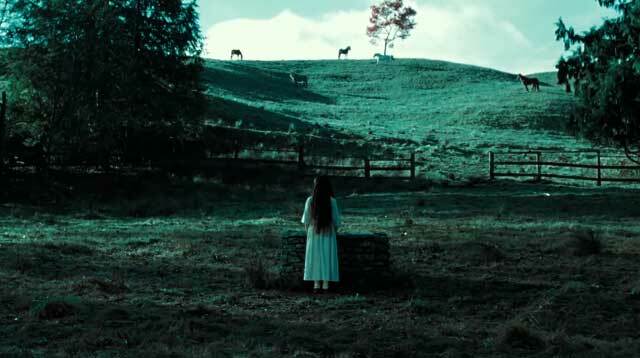 Rings—the long awaited third film in The Ring franchise—was originally supposed to open last October. There was an insane trailer and sleepless nights for moi, but the release quietly got pushed back. The current release date is Feb. 3 and to remind people of the big day, Paramount has released a shorter (but still scary AF) trailer featuring Samara and modern-day technology. I’m pretty much not opening my laptop/watching TV alone all weekend in case something crawls out. As previously announced, the film takes place 13 years after the first American remake of the Japanese classic. The premise is more or less the same as its predecessors, except the infamous video is now a video that’s gone viral. It ends up in the hands of a young couple, who of course must face the consequences over the next seven days. If you are fearless, watch the previously released trailer and proudly tell all your friends about it.